Helen Le is an activist and advocate for anti-bullying and a dog-petting enthusiast. She is a junior at Loara High School in Orange County, California, active in ASB and “Queen of Positive Social Media” on her campus. Helen “slays” the Internet by hashtagging ‘#ICANHELP’ at all “haters” and onhate posts/accounts. 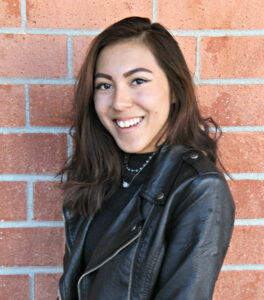 Helen is also involved in Theatre, Bridges and Key Club. She loves Sailor Moon, watching random Buzzfeed videos, and drinking Baja Blast Mountain Dew.